Christian Louboutin versus Darveys, Adidas sues Yeezy fakers, Malta’s illicit tobacco problem, and Chile’s new counterfeit penalties. The High Court in Delhi, India, has allowed online luxury goods seller Darveys.com to sell Christian Louboutin products on its platform, provided it obtains certificates of authenticity and provides warranties for all items sold. Both parties are claiming victory in the lawsuit, with the fashion brand hailing the requirement that Darveys refrain from stocking counterfeits, while the e-tailer says it can now stock Christian Louboutin once again, four years after it was blocked from doing so. “After this judgment, there is no stopping for Darveys, it just means more brands on board and lots of more discounts for our loyal customers,” said the company’s chief executive Nakul Bajaj. Faced with a huge number of knock-offs of its popular Yeezy Boost shoes and other lines, Adidas has launched a lawsuit against 196 defendants in the US District Court for the Southern District of Florida, supported by its affiliate Reebok which is also taking issue with “confusing similar” knock-offs of its products. The complaint is focusing on pirated items mimicking products deriving from Adidas’ collaboration with Kanye West, and is seeking $2m from each defendant plus $100,000 in damages for ‘cybersquatted’ domain names such as 2017yeezy.com and OKyeezy.com, reports law.com. Customs officers in Malta have intercepted a colossal 37m cigarettes in four shipping containers – in transit from Cambodia to Libya – at Malta Freeport in Birżebbuġa, according to local news reports. “These 37m cigarettes, combined with the total of 11.6m cigarettes smuggled apprehended earlier this year, saw the figure of cigarettes seized so far this year to 48.6m. This is a record figure for the Maltese customs,” said customs in a statement. Faced with the epidemic in contraband tobacco, Malta is increasing the penalties as follows, including setting a new maximum court penalty of €25,000. 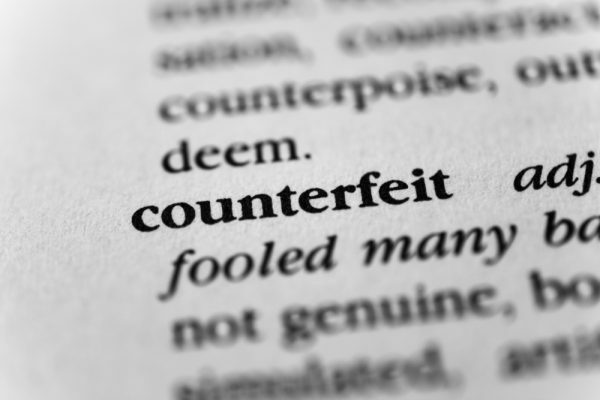 The government of Chile has proposed new penalties for the production, distribution and sale of counterfeit, trademark-infringing products, including up to three years in prison and maximum fines of $140,000 (US) – twice the current level – reports Bloomberg. The new intellectual property legislation was tabled in the Chilean congress last month.